1. “TURN” is supposedly dedicated to encourage the “German-African cultural relations”. Without a doubt a cultural exchange is necessary to develop mutual understanding and communication. As opposed to Germany, Africa is not one country, but rather a whole continent consisting of more than 50 individual countries. The Kulturstiftung apparently considers all those countries to be culturally homogenous enough to be able to entertain coherent “cultural relations” with Germany. Could it be that the people at the Kulturstiftung are talking about 50 different relationships between Germany and the individual African countries? But then wouldn’t it seem a bit ambitious to have a jury of three people make decisions involving an entire continent, 50 countries and more than 2000 languages together with the cultures and customs connected to them? Are the three jury members familiar enough with all these countries to fully comprehend their different cultures and languages? 2. The budget the Kulturstiftung considers to be sufficient enough to achieve all those goals (see No. 1 above) is a modest 2 million EUR. This is not a joke. The exhibition “Who knows tomorrow” alone which took place in Berlin and showed the works of solely five (!) African artists is said to have had a budget of 1,200,000 EUR. It is ironic to call the provision of 2 million EUR for projects that are supposed to last until 2015 and cover a whole continent a “thematic focus”. Especially so if it is a focus of a foundation of the German federal government. Would it not be more honest and realistic to focus the activities on a few African countries or a specific region of the continent? a. Africans are not allowed to apply for the funds directly. b. The African partners are only allowed to apply together with an institutional partner in Germany. The funding guidelines reveal the reason to this: “The German partner, as the project coordinator, has to assume responsibility for ensuring that all funds are expended as contractually agreed upon with the Federal Cultural Foundation.” In other, simpler, words: The Africans are not trustworthy. c. There is no mechanism that guarantees an adequate representation of the different African points of view. d. No information about the sponsorship scheme has been published in African countries. At least the funding guidelines have been recently made available in English. e. How exactly does the Kulturstiftung want to prevent the fact that essentially it yet again reflects the German point of view of what is artistically relevant in Africa? Because this is what happens when only German institutions are allowed to apply for funding and no African artist or art collective nor any creative community from Africa has been informed and enabled to apply for funds themselves? If only the German viewpoint counts, why does Kulturstiftung even mention the so-called “cultural exchange”? f. What is the role and position of the “new developments and initiatives” in Africa which Kulturstiftung emphasizes, if solely the German institutions are allowed to decide whom they choose as their African cooperation partner? Basically, with this strategy Kulturstiftung cements the current dominance of Western/European art professionals being the decision-makers in regards to what is accepted as significant or important African art. If this is not an expression of a hegemonial approach in cultural affairs than what is? g. When Kulturstiftung writes on its website that “the program will primarily provide German institutions and artists incentives to enhance their profiles with new themes, working methods and perspectives”, it sounds as if fresh African ideas and innovations are exploited as new inspirations to rejuvenate the cultural scene in Germany instead of promoting equitable cultural cooperation between Germany and the different African countries. Why do those German institutions not just exhibit or present the best of what Africa has to offer in the same way as they would do it in their regular programs in case of an artist from France or the U.S. without talking about profile-enhancement with new working methods? h. Out of the five institutions which Kulturstiftung mentions as an example of new artistic developments in African countries two are managed, founded or directed by curators who indeed have an African origin, but were raised and/or professionally assimilated in the West. Of course, there is nothing bad about being educated abroad and obtaining a broader professional horizon. On the other hand, one has to be aware that these so-called diaspora curators are often criticized by artists who are still based and working on the African continent for exerting an undue influence on defining what is internationally accepted as relevant contemporary African art to the detriment of local art scenes and communities in Africa. Local artists complain that those art spaces are usually not exhibiting art which is accepted and appreciated in their home countries and in the communities in the vicinity of these institutions. Instead they select artists whom they consider to be in line with the international trend in order to satisfy the expectations or requirements of their Western backers and sponsors or to become critically acclaimed in the West. Some artists claim that the activities of those art spaces and their exhibitions often demonstrate experimental and almost compulsively pretentious art which is not enrooted in the countries where those institutions are located. While there might be some envy and competitive resentment in such remarks and an objective judgment on the quality of art is an oxymoron, it is at least questionable to present experimental art like installations and video art as important African art in a cultural setting in which visually strong and historically acknowledged art forms like painting and sculpturing still have to overcome significant obstacles in order to be viable as a part of the cultural life. The problem is not whether contemporary art forms like video art and installations should or should not be part of an artistic program, rather whether such art should be presented as the currently (only) representative and significant kind of contemporary African art in spite of the fact that in most of the African countries there are sophisticated art works of the last 10 to 20 years which are simply ignored by the international art establishment until now. i. Whether the “new African institutions” actually work “outside the public funding system” as Kulturstiftung claims on its website seems dubious. Those institutions will hardly get funding from their home countries, but rather from Western and European sources, be it state-sponsored development aid or money from private foundations. Does this statement yet again highlight deficits in information about the state of art life and institutions in Africa? j. Another aspect of this politically doubtful approach is the selection of the jury. The only African on the jury, Nana Oforiatta Ayim, a talented and dedicated writer about art, is born in Accra, but she was raised and educated in the United Kingdom where she is still currently based and works in. She is subconsciously as “Western” in her attitudes and points of views as the theater-director Sandro Lunin from Switzerland and the Bavarian-based journalist and deejay Jay Rutledge. Why didn’t the Kulturstiftung choose at least one additional art professional who has spent most of his life living and working in Africa to be a member of its jury? Somebody who is not in one way or the other connected to the Western or (Eurocentric) “international” art scene and its somewhat specific understanding and mainstream taste of contemporary art? Why is there not at least one genuinely African artist or art professional to complement the jury? I am personally quite keen to know what the cultural and artistic communities in more than 50 African countries would say about this particular issue of who is the jury to decide which African project is worth being funded and which isn’t? 4. 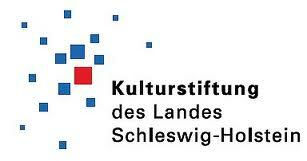 The Kulturstiftung also sponsors research projects. In the presentation of TURN there is so much talk about cooperation and exchange between German art institutions and their counterparts from Africa that it was somewhat surprising to see that an additional program is needed within the TURN fund to promote research projects. If this is a concession of the lack of knowledge about the African art scene and of cultural misunderstandings, then wouldn’t it be better to support more than 10 research projects with 9,000 EUR each? Actually, a much bigger share of the budget should have been made available for such fact-finding missions. The harsh reality that essentially more research is needed to enable a successful cultural exchange appears almost like a Freudian slip in the rhetoric about promoting German-African cultural relations. In any case, these research missions actually might enable German institutions to thoroughly explore contemporary and emerging art and culture in African countries, as opposed to the blind following of the conventional wisdom of the established circle of Western-educated art professionals and curators. This would be an opportunity to critically reflect on the dominance of the Western-influenced art scene and its particular agenda in the perception and global acceptance of African art. Curiously enough Kulturstiftung mentions the “cultural exchange” between the five African art institutions which it considers to be progressive and the “Afro-diaspora communities” worldwide. Mentioning this kind of an “exchange” might be a euphemism for a connection which – as mentioned above – is sometimes criticized for solidifying the influence of Western diaspora communities and artists on the international discourse in regards to what kind of art should be considered worthwhile and exhibited as relevant contemporary African art. An exchange which too often silences and drowns out the voices of the local artists and creative communities based in Africa. Why do we not let the African art communities decide for themselves which kind of art should be considered as the benchmark of contemporary art from Africa today? Would it not be a sign of mutual respect and intercultural understanding? 5. The final remark in the funding guidelines speaks for itself: The Kulturstiftung recommends to its applicants to regularly follow up on the travel warnings of the Auswärtiges Amt (Foreign Office) relating to African countries. Maybe it would have been wiser (and not only more appropriate with regard to the available funds) to focus the whole effort on a limited number of countries which would not actually be on the Auswärtiges Amt travelers “black list”. All this leads to a question: Does “TURN” really “revolutionize” the hegemonial treatment of the value and quality of African traditions and idiosyncrasies by the European art establishment which we have observed for too long? Will the time come when numerous diverse art scenes, creative communities and cultural circles on the African continent finally be taken seriously and treated as an equal, a partner that has an opinion – a voice that must be heard? 1. Dr. Britta Schmitz, the superior custodian of the National Gallery in the Hamburger Bahnhof, Berlin, informed me that the budget for the exhibition “Who knows tomorrow” in Berlin in 2010 has been exactly 900,000 EUR and not, as mentioned in my text above, 1,200,000 EUR. 2. Nana Oforiatta Ayim informed me that she was born in Germany to Ghanaian parents, studied in England and Russia and now lives and works in Accra, Ghana. Safia Dickersbach is the Public Relations Director at Artefact.Net, in Berlin, Germany.